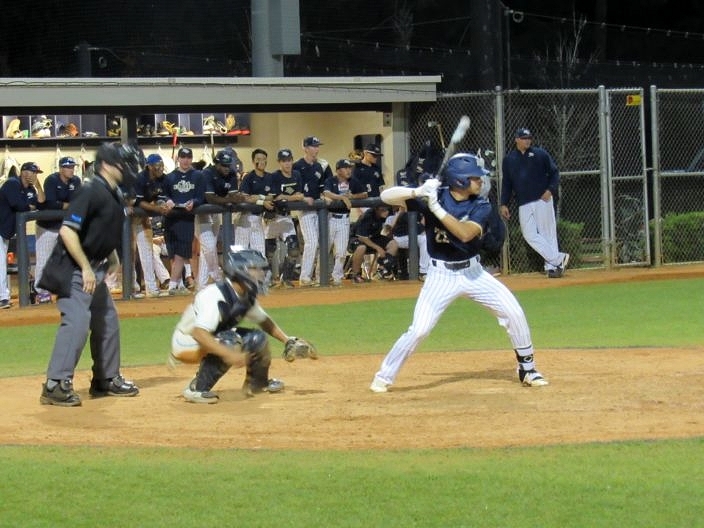 A solid performance all around by North Broward Prep helped secure a 5-4 victory over district rival Somerset Tuesday night. The game came down to the very last out as the Panther’s late game surge was shut down by Dusty Synder who earned the save on the night. 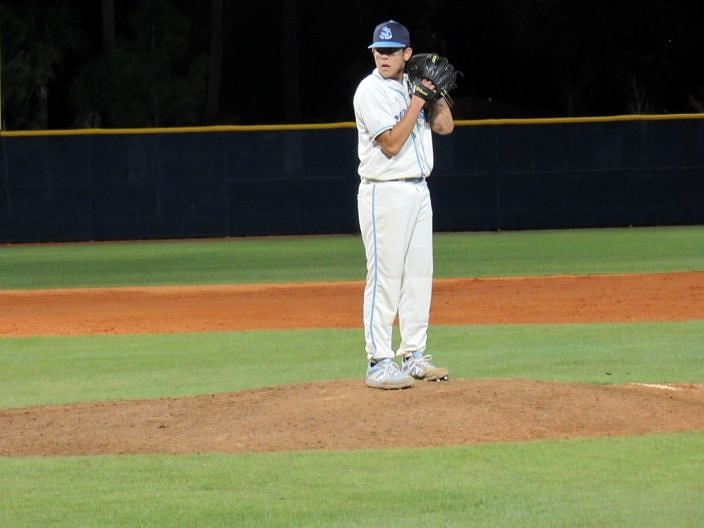 On the mound for the Eagles Anthony Tomczak threw a solid 4.2 innings with 10 strikeouts, while allowing only two earned runs. From early on Tomczak was pounding the zone and challenged the Panthers offense. Somerset started the night with a lead-off single by Danny Quinones who would later score on a balk to give the Panthers a 1-0 lead. North Broward wasted no time answering back with a lead-off double by Yoel Tejeda followed by Gabriel Esquivel’s single which set-up first and third with no outs. Panther’s starter Gabriel Perez struck out the next two batters but gave up a single to tie the game. Esquivel scored on an error to take the 2-1 lead. Perez threw 4.1 giving up five runs but only three earned as well as four strikeouts. Perez hung in well through the early stages of the game before being relieved by Ricardo Matos who held North Broward to three hits and no runs over the final three innings. The Eagles added another run to their tally in the third from Yoel Tejeda’s two out single giving them a two run cushion. In the fifth after a lead-off walk and sac fly, senior Logan Clyatt came through on a first pitch two run home-run to give the Eagles a 5-1 lead late. Connor James and Joshua Suarez had back-to-back doubles to start the fifth for Somerset plating one and another off a fielder’s choice making it a 5-3 ball game. After a scoreless sixth Somerset needed three more runs to earn the walk-off win. Lucas Lopez began the seventh with a single to center field followed by a Diego Fereira walk and a Danny Quinones single loaded the bases with no outs down by three. 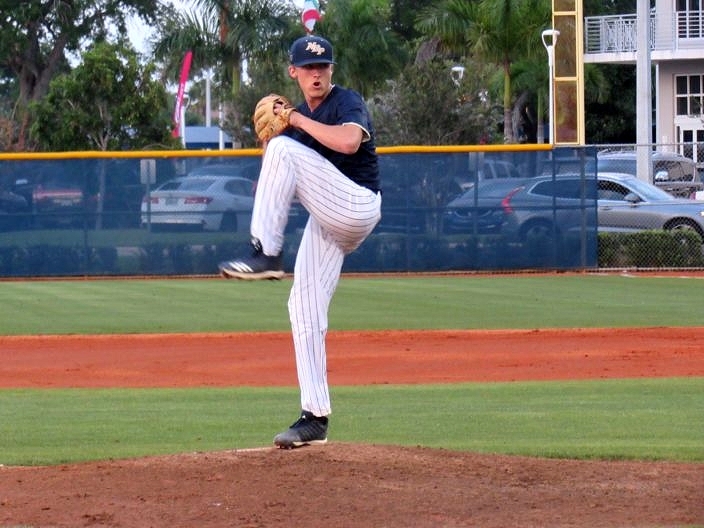 The Panthers fell just short after grounding into a double play to make it a one run game, but were shut down after Dusty Synder delivered three straight strikes to close out the game and earn the save. “I had a positive mentality the whole time and knew we had it in us tonight to pull out the win tonight.” said Tomczak. North Broward looks to make it six wins in a row when they face off against Trinity Christian on Friday night with two more district games on the horizon. Somerset is back at it again tomorrow against Franklin Academy in the Sunshine Classic and hoping to earn their first district win against Pine Crest Thursday night.